The two paths below differentiate between wet laboratory research (chemicals, biological, radioactive materials, laser, etc) and all members of the college (office/administrative, research, and teaching areas). Please follow the link(s) below for the appropriate work area. The College of Arts and Sciences' goal in regards to emergency planning is to coordinate and facilitate preparedness in each of its buildings and/or units. In order to minimize the impacts of emergencies on our individual units, facilities, and working environments, the below information is available to each individual (student, staff, faculty, and visitor). 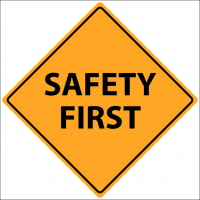 Check here for the latest safety information and reminders. See newsletters.